Scotland fans took to social media to vent their frustration after tonight’s limp win against San Marino. 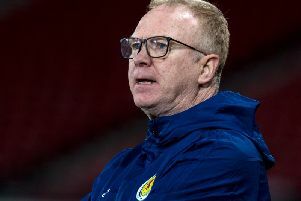 There was relief from supporters that Scotland managed to escape with a narrow win, but many who took to social media were unimpressed with the performance from Alex McLeish’s men. Some fans even suggested who they’d like to see replace the Scotland manager, with Kilmarnock boss Steve Clarke many people’s first choice.